Does Gender Affect Pulse Rate Before and After Running? Understanding your target heart rate zone is more important than gender differences. There are quite a few factors that affect your heart rate before and after you hit the track, and due to various biological differences between the sexes, gender may be one of them. Still, although women may have a higher heart rate than men both before and after exercise, you should pay more attention to other more prominent factors affecting your pulse. When you exercise, your heart needs to beat faster in order to supply your working muscles with more blood and oxygen to keep them going. 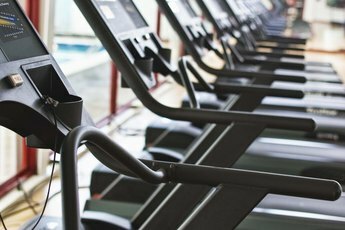 Generally, you want to stay in a target heart rate zone between 50 and 85 percent of your maximum heart rate during normal exercise routines, according to the American Heart Association. 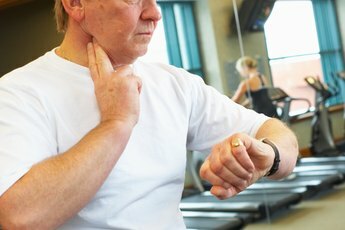 Although a man can estimate his maximum heart rate by subtracting his age from 220, new research suggests that a woman should subtract 88 percent of her age from 206. You can find your resting heart rate by taking your pulse on the inside of your wrist for six seconds, then multiplying that number by 10. Women tend to have a higher resting heart rate than men, according to the Cleveland Clinic. Since women usually have smaller hearts than men, the heart rate needs to be higher to fuel the body properly. Since women tend to have higher resting heart rates than men, and since their maximum heart rate range tends to be lower, it stands to reason that high-intensity exercise is more stressful for women than it is for men. Still, running at a comfortable pace is safe and healthy for both men and women. Furthermore, because the cardiovascular system is so complicated, it's unclear how much of a factor gender has on heart rate during exercise. When it comes down to it, gender is near the bottom of the list in terms of factors that affect your heart rate both before and after exercise. Resting heart rate is affected by your age and level of fitness more than your gender. And exercise intensity is the dominant factor affecting heart rate during and following a run around the track. Environmental factors such as temperature and humidity will also have a more immediate effect on heart rate fluctuations than gender. Live Science: Should Women Calculate Their Maximum Heart Rate Differently Than Men? 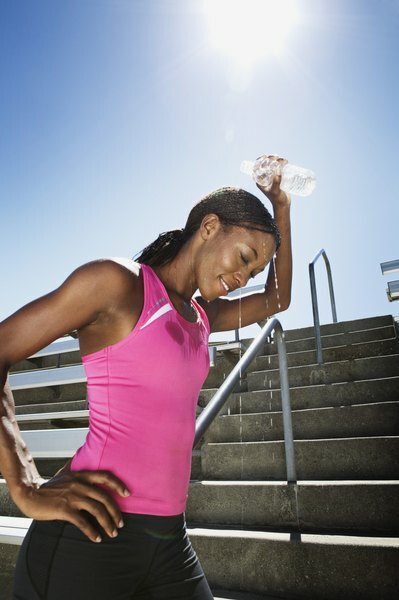 Can Your Heart Rate Change After Exercising Regularly?